I have watched with keen interest the past few years and have noticed a trend. 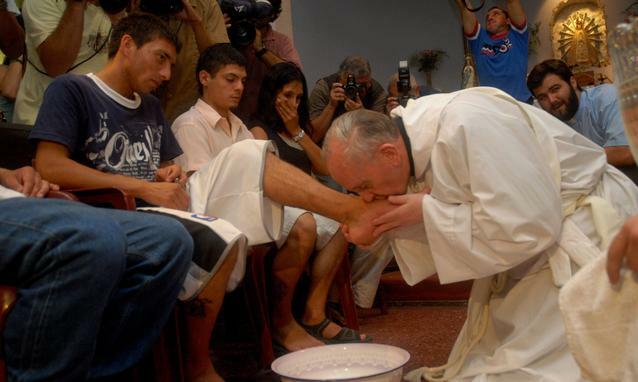 It began with the world’s largest and oldest institution of Jesus followers in Rome when they elected a humble outsider from South America to be Pope. Pope Francis has been shaking things up, and this Protestant will admit being a fan. One of the things I’ve noticed in my study of Jesus is that he was an equal opportunity offender by speaking truth and raising the ire of people on both sides of the spectrum. I’m seeing Jesus’ heart in Francis. He has been appointing more and more Bishops from the Third World into the upper levels of leadership in the Roman Catholic church. A few months ago I received an e-mail from our friend who has, for several years, been the President of a large international ministry organization called the Navigators. Founded to reach out to men and women in the U.S. armed services, the group spread to college campuses and has since grown over the decades into a world-wide mission organization. Mike’s e-mail described the Navigators’ leaders from around the world gathering to pray for guidance in selecting his successor. Their choice to lead the Navigators was a couple who are natives of Kenya in Africa. This morning as I read the chapter I found it interesting that Paul told the Jews in Rome that God, in response to the Jews unwillingness to believe, has sent salvation to the Gentiles. God uses the metaphor of wind to describe Holy Spirit. The wind moves, changes course, increases to gusts then falls back to a gentle breeze. It is not tamed nor controlled. Paul observes that the Spiritual winds are shifting and blowing away from Jerusalem and to the rest of the world. Jesus said to be aware of the signs and the times. Paul was aware that God’s Spirit was shifting in his time. In our time I believe I have seen a shift in Holy Spirit wind moving and gusting through the Third World. I see it in Rome. I see it in the Navigators. I am seeing other weather vanes turn in headlines and news reports. I am not a prophet and I can’t see the future, but I want to be aware of what God is doing on a meta-level even as I struggle to fulfill my bit-part on a micro-level here in the middle of fly-over country America.